Recently I described my observations on Belo Horizonte’s graffiti scene. I saved two photos for later because there is another sub-genre of graffiti that doesn’t fit into the general definitions I described in my first post. Political graffiti is a category of its own, and is often done for different reasons than why someone would tag or create an artistic graffiti mural. 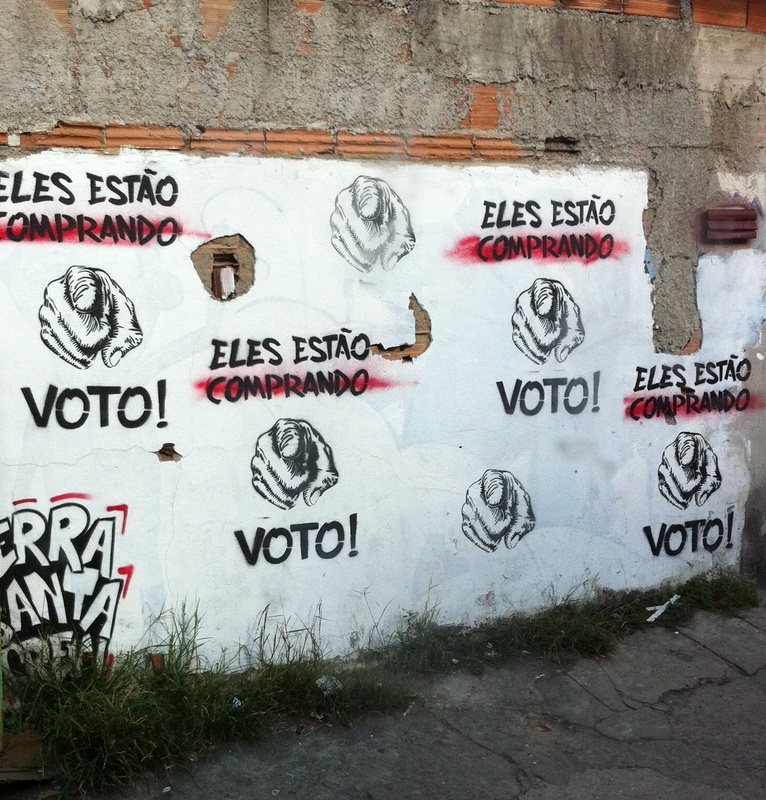 I didn’t see much political graffiti in most sections of Belo Horizonte that I visited. However, in the favela next to the neighborhood where I was staying–Estrela d’Alva–these two graffiti stencils were everywhere. Translation: “They are buying VOTES!” It is common for politicians seeking election to promise specific reforms to help people or in some cases even hand out small amounts of money to curry favor. Translation: “Smile! 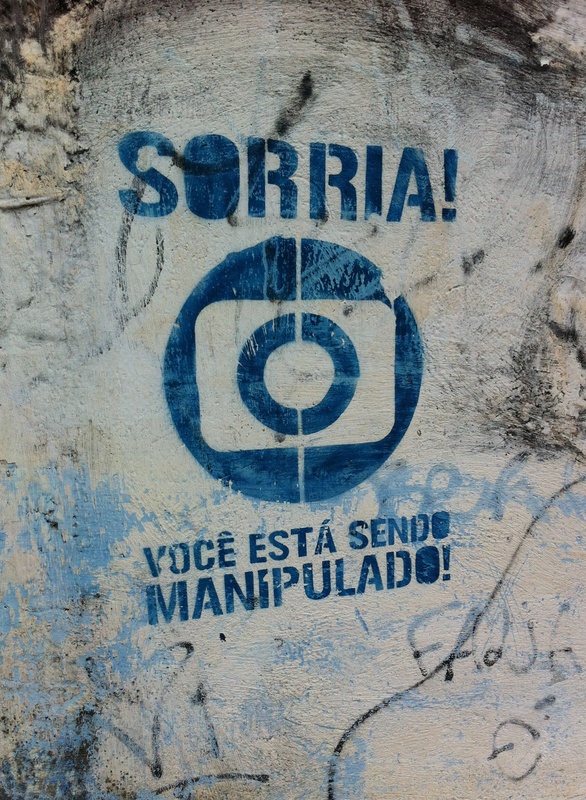 You are being manipulated.” Brazil has three main television stations: Globo, SBT, and Rede Record. The dominant station is Globo (their trademark appears above). Most of the nation tunes in nightly for their news broadcast and nightly telenovelas; in many cases what appears on the Globo news is what people believe to be the truth–for better or worse.